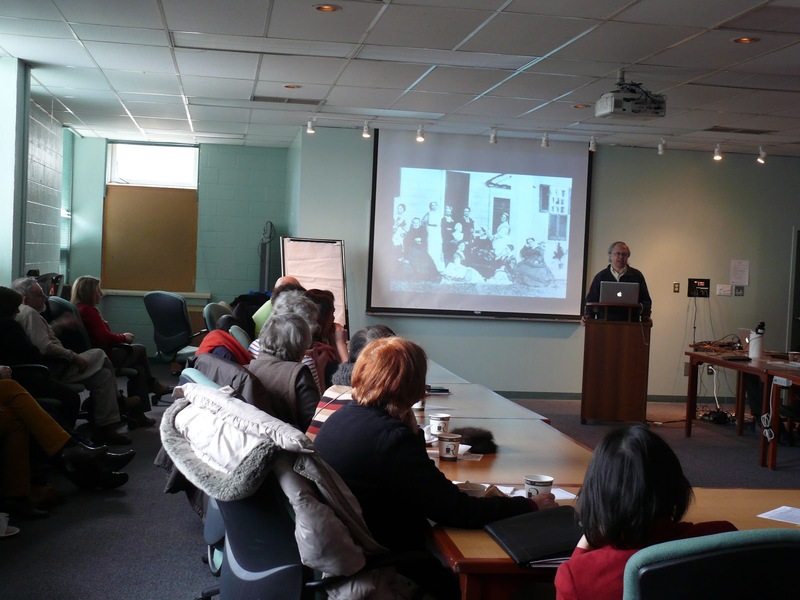 This past week Julian Smith of the Willowbank School visited Newfoundland to talk about contemporary issues and developments around cultural landscapes theory. 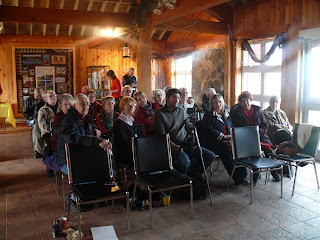 Both of these talks had a fantastic turn-out -- over 40 people attended the Harris Centre's Synergy Session with another 40 people watching on-line through a webinar. In Bay Roberts at the Visitors Centre we had a wonderful group of over 30 people from at least 4 different communities. I think that this shows that the people of St. John's and surrounding communities really care about their physical and cultural environments, and want to learn as much as possible about how we can move forward with sensitive development in a booming Newfoundland. Leslie Harris Centre's Synergy Session, March 20th, 2013. Julian Smith presenting at MUN for the Synergy Session. 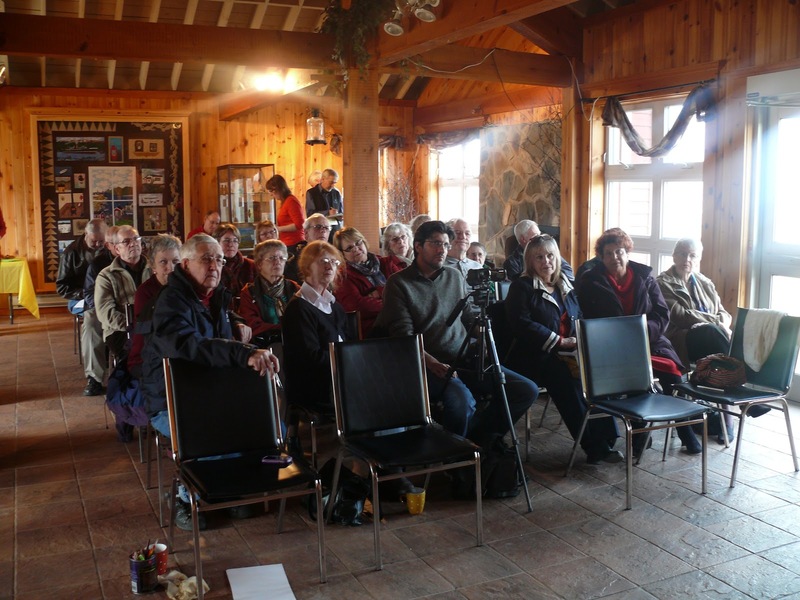 The crowd in Bay Roberts listening to Julian Smith's presentation. Many thanks to Julian Smith for coming out to speak to us about his work, and to all of the people who came out to our events. It was a great success for everyone involved. 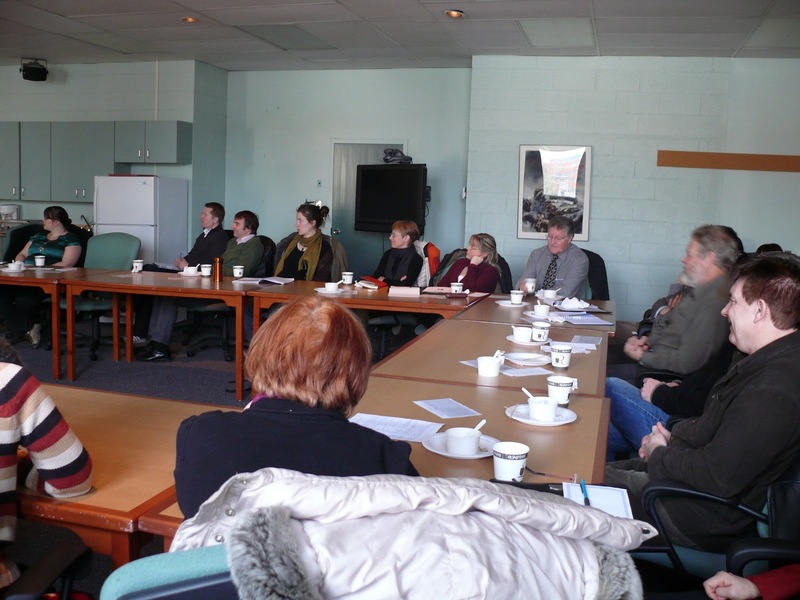 I'd particularly like to thank the Leslie Harris Centre of Regional Policy and Development for organizing the wonderful session at MUN. I'd also like to thank Marilyn Dawe for all of her assistance in organizing and promoting Julian's talk at the Bay Roberts Visitors Centre.